Of all the rock/metal festivals around the globe, Wacken Open Air is “THE” festival for any metal fan. I like to refer to Wacken Open Air as the Father of all metal festivals. This festival has the hottest and fastest ticket sell out of any other festival around. I know, I have tried for many years to get the “golden ticket” to W.O.A. and failed miserably up until this year. I was successfully about to purchase my ticket as the mayhem known as ticket sales opened at the ending of W.O.A. 2015. In less than a few hours W.O.A. 2016 was completely sold out. The buying process was insane. Most all of us were thrown into a waiting room queue and once we got to the page to purchase our tickets had issues due to the stress on the ticket agents severs from all the fans attempting to purchase tickets at the same time. After three attempts to select my tickets, add them to my shopping cart only to then have them disappear and being thrust back into the waiting room queue, I was able to complete my purchase, finally I have my golden 3 day festival ticket. I didn’t care about the line up, all I knew was I had to get my hands on a ticket this year. The line up for Wacken Open Air always sorts itself out, always! This festival started in 1990 and has never looked back. The fans are committed to this festival, many are yearly returning fans and many others are lucky ones like myself who’ve managed to finally buy a ticket. With roughly 86,000 in total attendance (to include fans, staff and bands) this is one biggest and longest running metal festivals. Last year the festival had bad rain and to explain the dedication of the fans to you very simply, they hoofed into a mud bog and the fans were quickly nicknamed the “Mudfighters” because they never wavered in their support and showed up despite the miserable conditions. These are my kind of music fans. Between the mix of the great music, the festival spirit and the great fans…. there is a reason W.O.A. speaks to so many people. That’s what draws the fans to this festival year after year. So now that I have my ticket, it’s onto the music. So many great bands have been announced since the day tickets were released. Was I disappointed after my purchase? NO WAY! I am thrilled with the line up this year. Many great bands to see! Some bands I have seen, some I have not because they don’t tour the United States, whilst one named Metal Church are my home town guys here in Seattle and I really can’t wait write about them at W.O.A. I do have to say I am really excited to see Metal Church up on that giant festival stage. 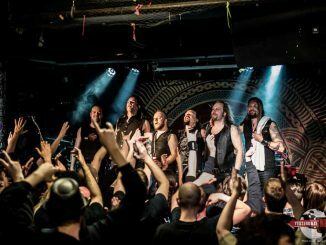 I have seen them on small local stages in and around town where I live and it’s great to have those intimate shows, but man am I truly excited for the band to have such a great opportunity to perform at none other than Wacken Open Air! Bravo for Metal Church. With so many great bands on the line up this year I find myself in the usual situation as any festival, that’s how to cram in as many bands as possible to tell you all about them. With W.O.A. it’s going to be even harder because they have lots of lesser known bands in the early slots and I love checking those shows out to discover new bands. I always come away from a festival with a new band or few to listen to so I am really looking forward to seeing who’s up on the stages this year and being able to tell you about who I have found. Then there are the well-known acts, how does one choose? Since I am just coming off covering the Sweden Rock Festival where I had the chance to see Foreigner but that changed when Twisted Sister had to reschedule their press conference, I am making a point to see at least some of the Foreigner show this time around. 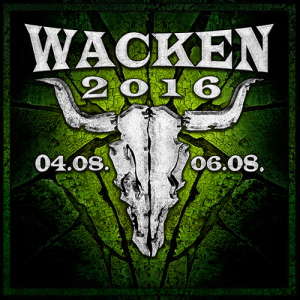 A few of the bands that were at SRF are also going to be at Wacken, so I can eliminate a few, if I have to. 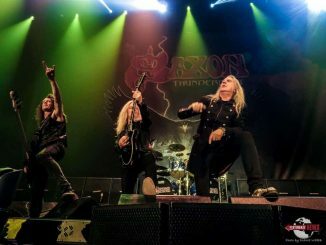 I’d say most of all I am really looking forward to Saxon, Girlschool, of course Entombed A.D (3rd time in a few months, yes I love them), Loudness, Metal Church just to name a few of the bands I really need to make that point of seeing or seeing again. There is also LEMMY – BORN TO LOSE, LIVE TO WIN. I have to see this. Of course I will squeeze in as much as I can and I am really looking forward to writing all about it and sharing with you, the awesomeness of Wacken (fingers are crossed that I can get my media pass so I can do photos as well)! Every metal fan needs to go to Wacken at least once in their life. Yes, half the battle is getting a ticket, but keep trying, I finally got mine after years of trying so it’s not impossible to get one, but it will make you a bit crazy in the process. I have also padded a few extra days in my travel time to explore the area around the festival site. We should all stop and explore the surroundings, it’s not just about the festival, even though that’s the main focus, but stop and meet the people and see what it’s like. Enjoy yourself and expand your knowledge of the places you visit, you may find other reasons to come back again. So here’s hoping to being able to give you great news that I have my media/photo pass in the near future so that I can share all that there is to see and know about Wacken Open Air and hopefully inspire many of you to get over there yourselves and take part. Seriously, the metal gods need to make this happen! Since publishing this preview YesterDazeNews has received the “Golden Ticket”! Press and photographer accreditation for W.O.A. 2016! Stay tuned in August for all the mayhem!